With the technological advancements, it is quite important for industries to work in close association with educational institutes to create the professional of future, and the same is true for the colleges and institutes as well. 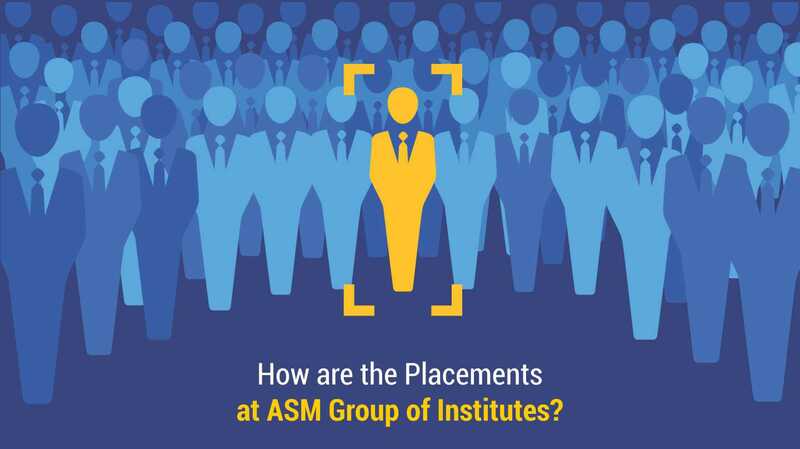 Thus, ASM Group of Institutes has also collaborated with many reputed companies from the world over to offer great placements and an outstanding future to the students. Students get curriculum designed by expert faculties and industry experts such as IBM taking global trends into consideration.This helps increase the employability of students by making them industry ready. Students learn under the supervision of expert faculties. Regular lectures, industry integration, seminars, live projects, group discussion, etc. are organised to add value to their learning process. The college also gives them the opportunity to interact with foreign ambassadors and high commissioners thought international visit. Students also exchange their innovative ideas and communicate with top industry leaders through industry visits. But before we start with the placement’s details let’s have a look at what variety of courses ASM provides to make the students industry ready. ASM Group of Institutes has successfully collaborated with various companies to provide the best career opportunities for aspirants, every year though job fairs. In this process, many reputed companies and throng of students participate to get the advantage of the event. Now here is some information about the placement record of ASM. We at ASM are concerned about every aspirant’s career and work hard to help them in getting their dream job. Want to enrol with us? Feel free to consult us we would love to help you.